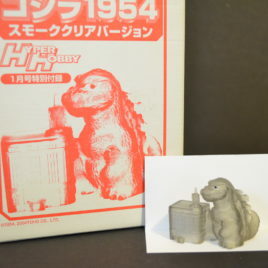 From the “Super Godzilla” Hyper Series, this is the Godzilla 1954 figure! 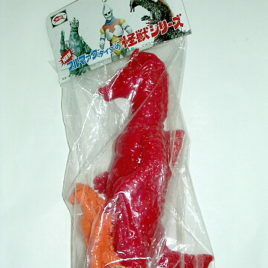 This series was released by Bandai Co. of Japan in 1995. 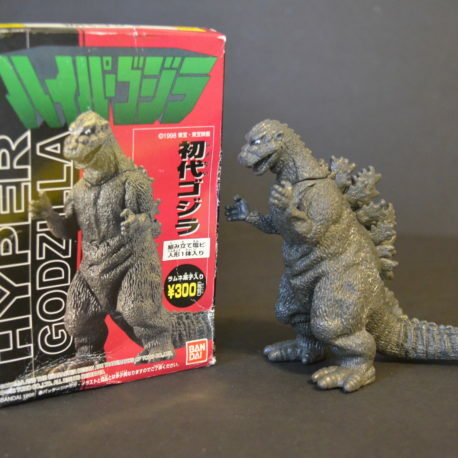 The “Super Godzilla” Series contained seven different figures. 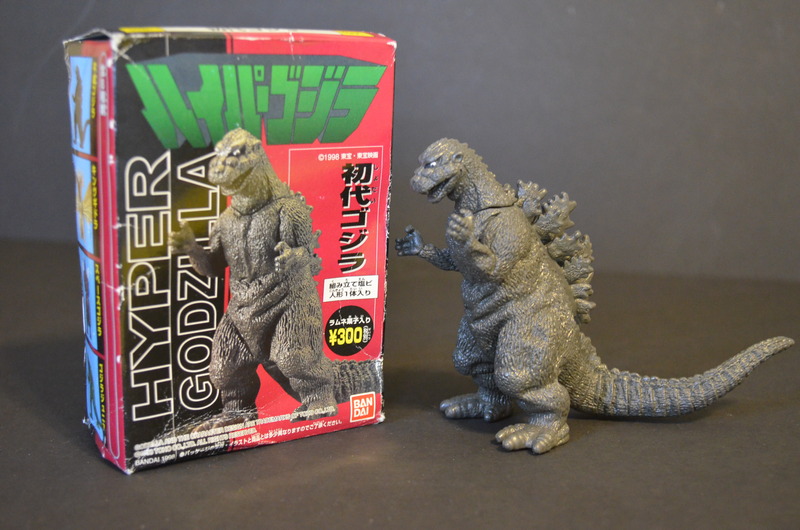 Because they were released over 20 years ago, it is almost impossible to find any of these “Super Godzilla” Series figures even in Japan! This is a “Collectors” piece. The figure stands approx. 4 1/2 tall and requires that the vinyl parts be “snapped” together. The figure comes Mint in Colorful Box with some shelf wear.